Current paternity tests must either wait until the infant is born or involve amniocentesis to pull fluid from the amniotic sac for testing. If waiting is not an option or choice for the pregnant woman, amniocentesis is used. 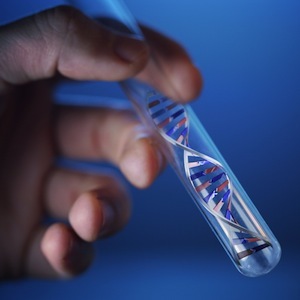 There are possible complications associated with amniotic testing, but those risks are considered acceptable if there is a medical reason for the test – like determining the probability of chromosome disorders. However, when it comes to paternity testing, the risks are not worth the reward. There is a strong need for effective, non-invasive paternity testing and companies like Ravgen from Dr. Ravinder Dhallan are working to change the face of paternity testing for good. The difference between the traditional pregnancy paternity test and the new test is methods of testing. The current test requires a doctor stick a needle into the amniotic sac to remove a sample of amniotic fluid. Fetal DNA is pulled from the sample and that DNA is compared to a sample provided by the potential father. The needle can leave a hole in the amniotic sac and increase the risk of miscarriage or early delivery. Other tests required chorionic villus sampling (CVS). The new test relies on fetal DNA present in maternal blood. Doctors take a blood sample from the pregnant woman and fetal DNA is pulled from that sample. The remainder of the test is relatively the same as the original test. There are multiple prenatal tests that rely on amniotic fluid, so developing non-invasive tests for pregnant women is a huge responsibility – one that garners more attention than some medical experts expected. Researchers are now focusing on improving the results of the test by increasing fetal DNA in blood samples. Soon, DNA paternity tests could be available for all women and laws could be changed so women can sue for support before the infant is even born.